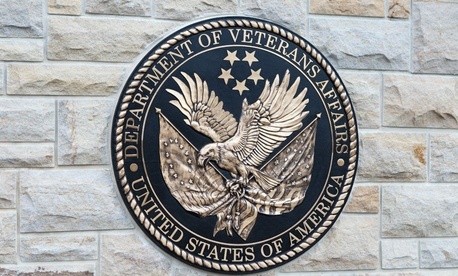 As Government Executive has reported in detail, the Veterans Affairs Department wants to prevent fired executives from appealing their removals to the Merit Systems Protection Board. Having written multiple books and articles about the need for accountability in government, I have been very clear that agencies need to do more to terminate poor employees, including senior executives. Nonetheless, I am troubled by recent efforts to restrict the appeal rights of senior executives in the VA.
First of all, why treat VA’s senior executives differently than other senior executives in government? These are presumably the people who have worked their way up through the civil service system to the top of their profession. Restricting the appeal rights of many of VA’s best and brightest employees seems to me to be a disincentive for people to enter this cadre, and it creates an incentive for those already there to leave. Furthermore, is it fair to single out one group of senior executives for special treatment? After all, senior executives elsewhere will still retain the appeal rights that were set up for them when the Senior Executive Service was established. People often forget that roughly 15 years ago, VA’s healthcare system was considered by many to be the best in the world and VA’s benefits processing was in relatively good shape, and several of its offices received prestigious national awards. What changed was several wars, court cases, political decisions, etc. that resulted in VA being overwhelmed by demand for its services. That of course does not excuse poor performance or shoddy behavior by VA’s senior executives. Poor senior executives should be dealt with in an appropriate manner—that’s not the issue. If the idea is to make it easier to fire VA’s senior executives (but no other senior executives in government) in order to improve the quality of VA’s senior civil service leadership, I am concerned that the opposite might happen. For example, I suspect that VA might be less likely to attract the best and the brightest leaders if these individuals see they will have better protections by working in any other agency of the federal government. VA confirmed this by stating that it is feeling “an alarming number of vacant leadership positions, a retirement tsunami on the very near horizon, and an increasingly difficult executive recruitment market.” Of course, the reason why VA has so many vacancies is not due solely to the restriction on senior executive appeal rights. Some, if not much of the problem is probably driven by the pay VA is offering, and as a result, it is proposing to raise the pay of its senior executives, which is definitely a good thing. I am also concerned that the proposal to further restrict senior executive protections is merely a reaction to just three cases, at least two of which appear questionable from a human resources perspective. Are three cases enough to take future VA cases out of MSPB’s jurisdiction, especially when other cases have resulted in senior executives no longer retaining their jobs? Given this reasoning, it appears we are going backwards. It didn’t seem fair in 2014 to limit the time frames under which VA’s senior executives could appeal an action and the amount of time MSPB would then have to adjudicate those cases. The shortened time frames for both appellants and MSPB can easily result in poorly reasoned decisions, unnecessary pressure and perhaps the wrong outcome, especially if a rash of removal actions all happen at the same time. Isn’t it in everyone’s best interest that an appellant, the government and MSPB all have a reasonable period of time to resolve an appeal, which is the way things typically work for virtually all other cases in government? That’s not to say that the current system is perfect. The 2014 change and proposed legislation have clearly been driven by a series of outcomes that have caused a great deal of frustration. While I support giving VA’s senior executives the same appeal rights as every other senior executive in the federal government, I also think that a few simple changes to the law involving the protections for all employees will make the system more effective and efficient, make it easier to hold government employees accountable and address the concerns and frustrations of VA and other agencies. I will address these recommended changes in detail during my next article. Stewart Liff is an HRM, visual performance management and team development expert. He is the President and CEO of Stewart Liff & Associates, Inc. and is the author or co-author of seven books, including Managing Government Employees and A Team of Leaders. He can be reached at stew@stewartliff.com.